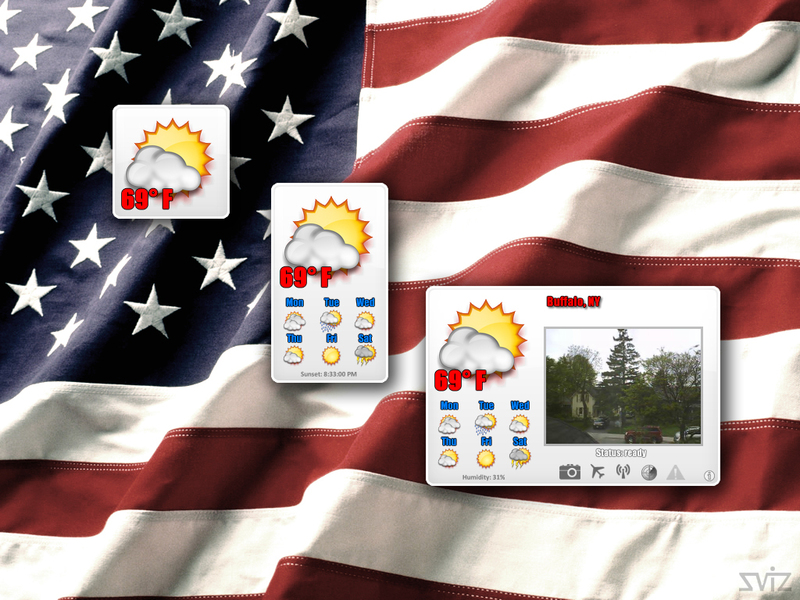 Based on Wunderground Weather template, this widget is an example on how to modify the template to a stripped down interface. I agree--the colours are good. Thanks for your continuing efforts to support DesktopX. 5 from the redneck!!! Thanks Eve! I'm able to download it to a file, extract the zip file to the widgets folder and it shows up in DX, I apply it but it doesn't work properly, only get the small window with temp, no weather icon, try clicking it and it does nothing. I'm on Win 7 64 bit. I don't know why I seem to always break things. UPDATE: All is woking fine now, service looks like it was just unabvalible when I tried it before.